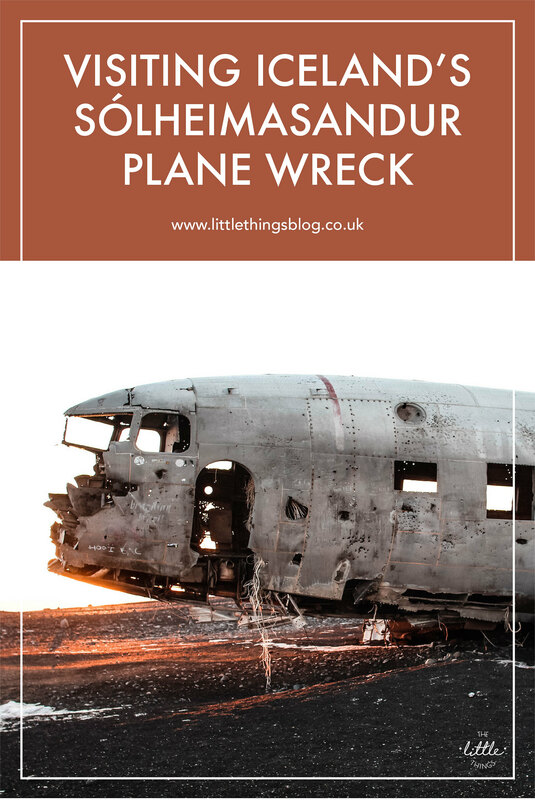 When researching and planning our trip to Iceland, one of the main things that struck me outside of Icelands sheer breathtaking beauty and untouched land, was the iconic and haunting photographs of the Sólheimasandur plane wreck. 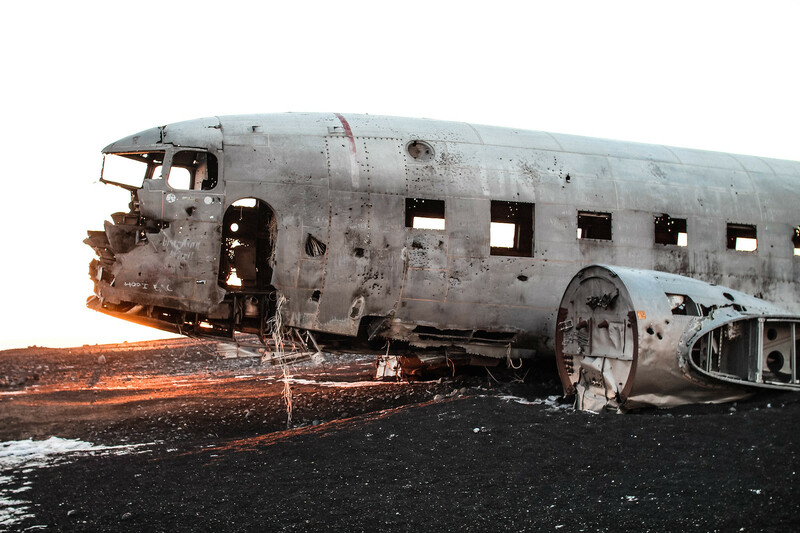 On Saturday 24th November in 1973, a United States Navy Douglas Super DC-3 airplane was forced to land on Sólheimasandur black sand beach in the south of Iceland. 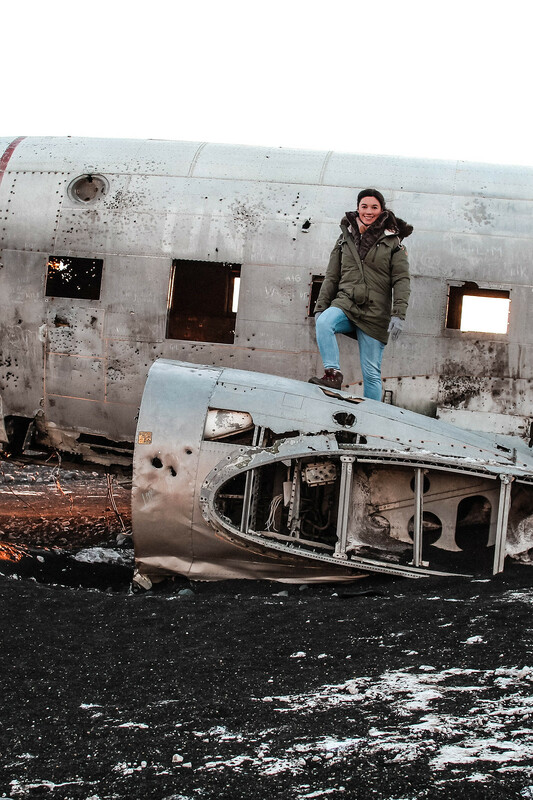 All crew members survived the crash landing, but the airplane has since been abandoned on the beach and has become an icon of the area and dream photography location. 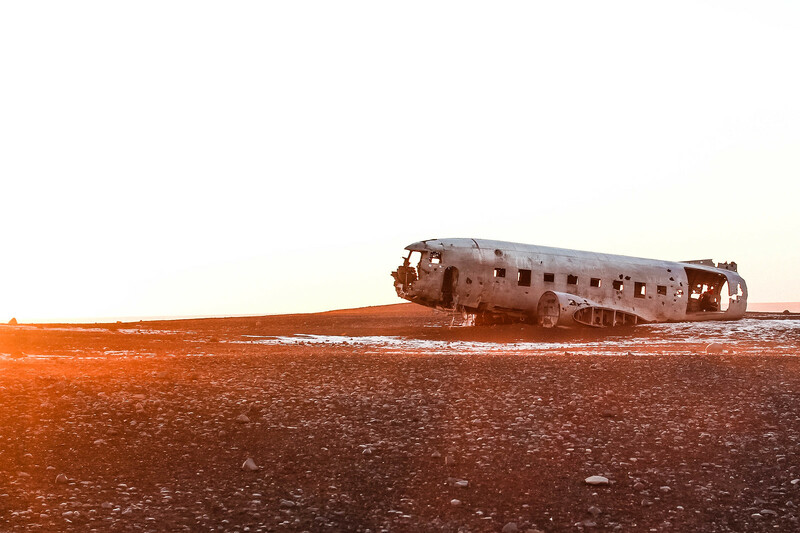 On a desolate beach off a beaten path, against the black sands you’d be forgiven for mistaking this as the set of a post-apocalyptic movie. With crumbling and decaying exteriors and the wings now totally lost, this isn’t something that’s set to be there forever. 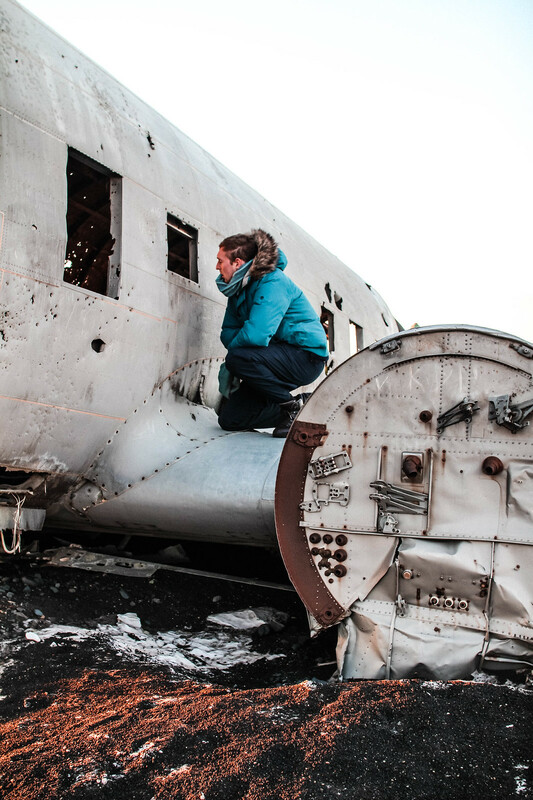 Sadly the locals tell us that the road had to be closed off because tourists were coming and removing part of the airplane, spoiling it for others to enjoy. Be warned, this is not a short trip! There is an old road path that leads directly to the plane which has since been closed off, so you are in for a long walk across the beach. The black sand beach isn’t like fine sand, but more rocky with tiny pebbles at your foot. Stick to the road path for a (slightly!) easier route. 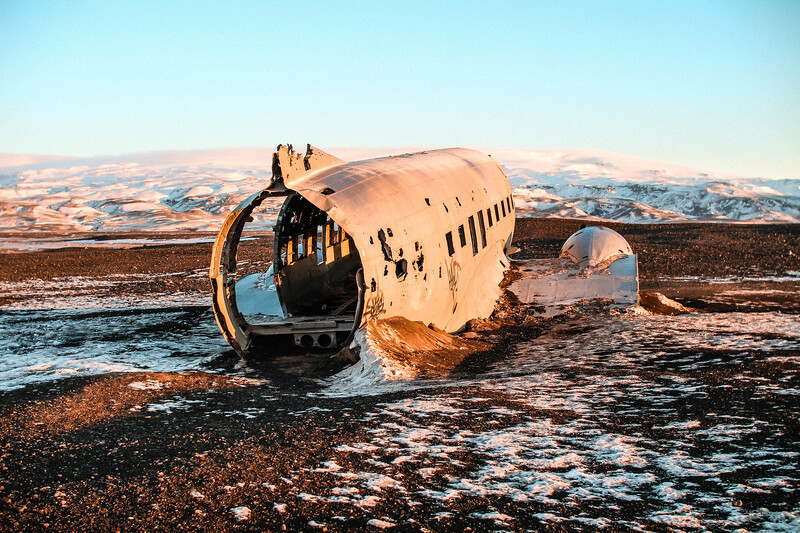 You’ll fund the Sólheimasandur plane wreckage on Iceland’s Southern coast between Skógafoss waterfall and the town of Vik. Heading east on route 1 you’ll come across a sign for Sólheimajökull glacier walk, it’s just a short distance on past this. From here it will be clear to see a small car park off to the right hand side. As the road down to the plane has since been closed off, you’ll need to park your car here and begin your walk. Do not attempt to drive down the path! As the plane wreck is on the coast at the end of a long beach, you’ll need to be prepared to dedicate some time to this. Against extreme wind and sand blowing in our face on a bitterly cold day in late November, at one point I was close to tears I was so cold! I honestly can’t stress enough how much you need to wrap up against the elements. Be sure to take a cover for your camera or keep it safe in your bag to prevent any sand blasting it’s way in. 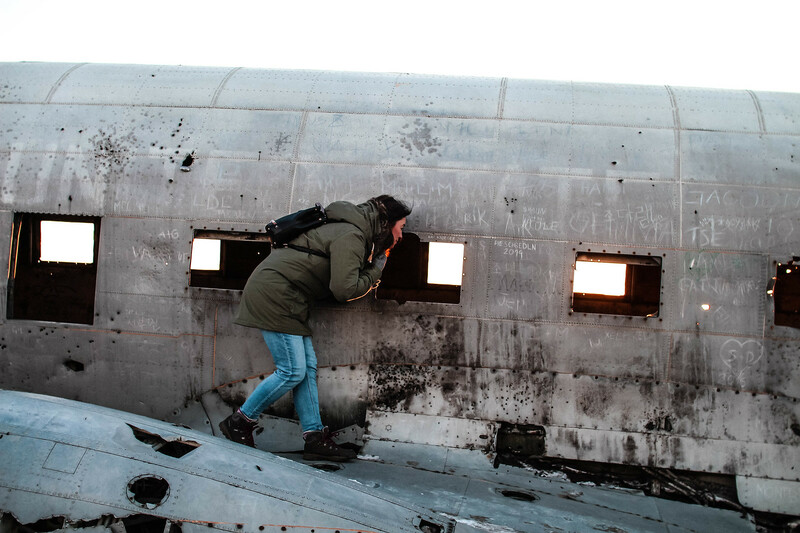 It was around a 45 minute walk to the plane, where we easily spent around 30 minutes photographing it and exploring inside of the plane before starting the long walk back to the car. You will need at least two hours to make the full round trip so don’t attempt it if you’re short on time. 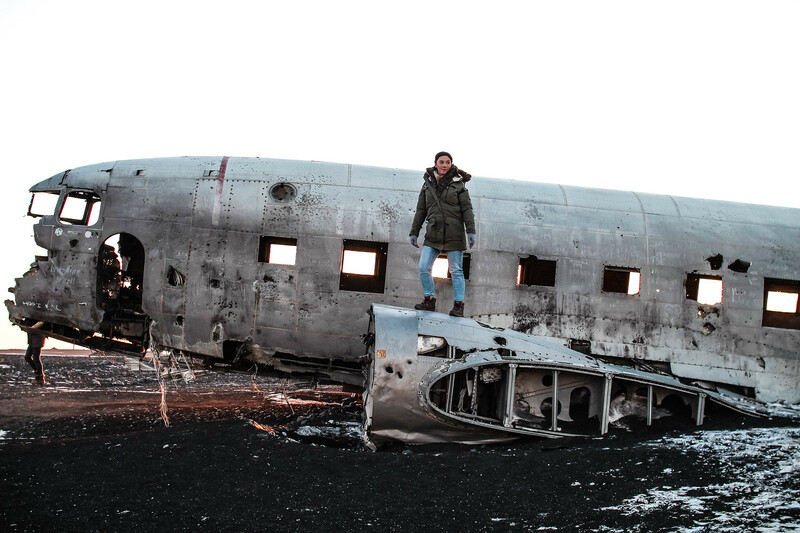 I’m really glad we made the visit to the Sólheimasandur plane wreckage, even if it was the coldest day of my life! Will you be visiting?